What kind of place is Arima Onsen? 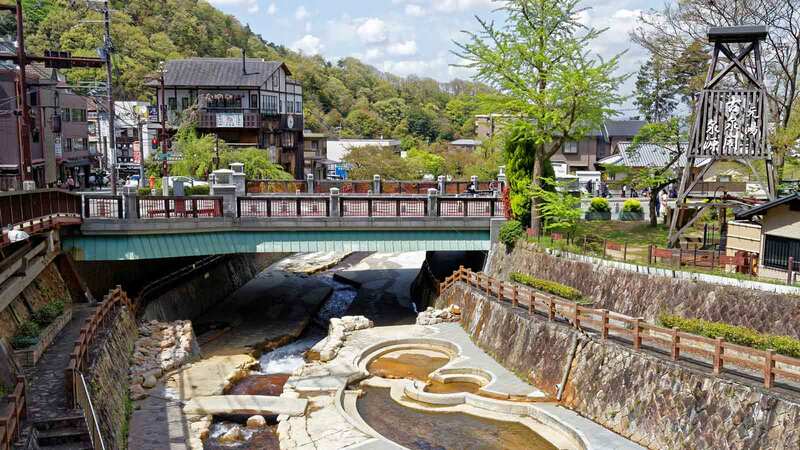 One of Japan's three most famous natural hot springs, Arima Onsen is said to be the oldest hot spring in Japan, and it is also famous because Toyotomi Hideyoshi, a renowned general in the Sengoku period, bathed there. It contains 7 of the 9 ingredients designated for therapeutic hot spring baths, making it quite rare anywhere in the world. Both the reddish-brown Kinsen and the clear Ginsen well up here, allowing visitors to enjoy the different qualities of each spring. 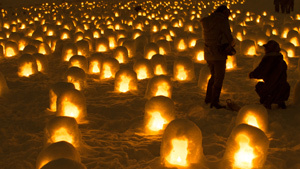 Additionally, Arima Onsen is a cozy hot spring district, so we also recommend taking a stroll in the surrounding area. 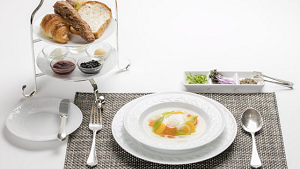 While visiting the hot springs, enjoy sampling delicious gourmet food as well. Just 30 minutes from Sannomiya Station or 1 hour from Osaka Station! Arima Onsen is located in Kobe, Hyogo Prefecture’s Kita Ward, and it has convenient access from other Kansai sightseeing spots. 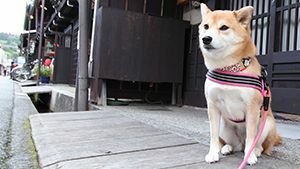 It is located about 1 hour by train from Osaka Station, or about 30 minutes by train from Sannomiya Station in central Kobe. It is about 30 minutes from Itami Airport (Osaka Airport) by bus as well. When taking a trip to Kansai, tourists will want to be sure to include this sightseeing spot on their list of potential destinations. 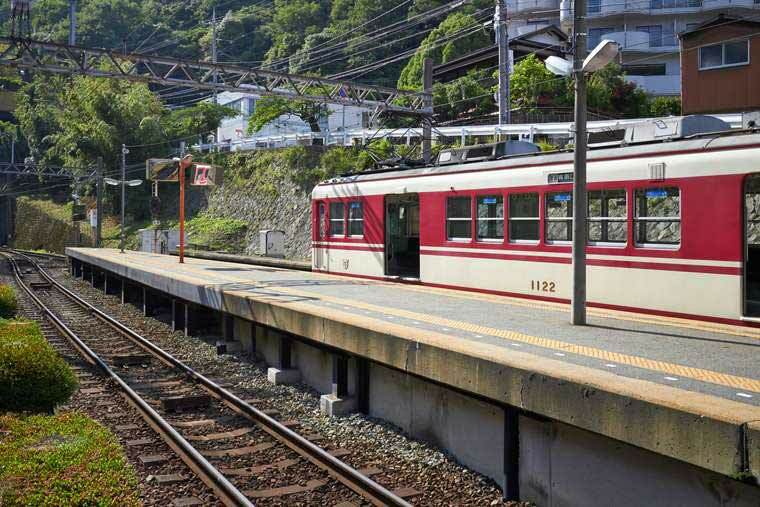 It is just a short walk to the hot spring quarter from Arima-Onsen Station or the nearest bus stop. The first thing tourists see outside Arima-Onsen Station is the Taiko-bashi Bridge. The banks of the Arima River under the Taiko-bashi Bridge are outfitted as a park so that people can walk along them. Tourists can take a walk in this recreational space on sunny days, and during the hotter months, they can dip their feet in the river to cool off. 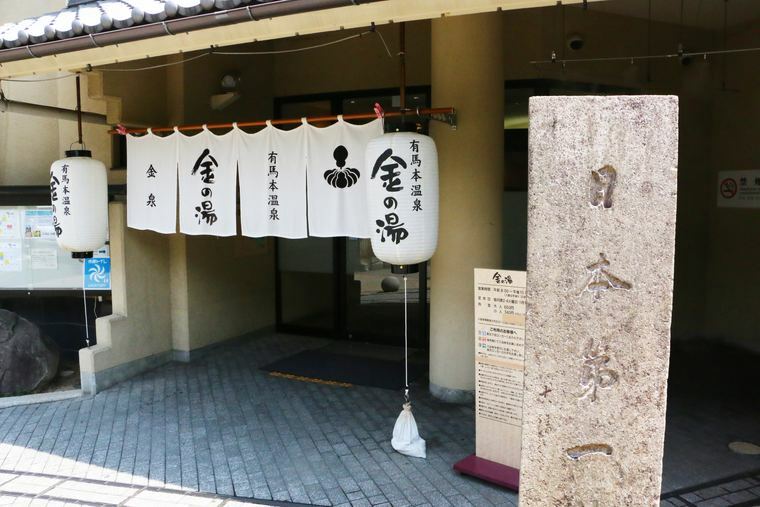 The first place visitors will want to stop by on their stroll through Arima Onsen is the Kin no Yu public bathhouse. 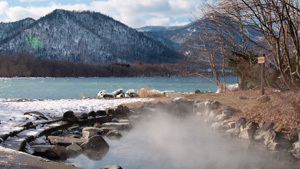 Located about a 5-minute walk from Arima-Onsen Station, visitors can enjoy the reddish-brown waters of the Kinsen spring to their heart’s content at this bathhouse. The interior of Kin no Yu is neat and spacious, allowing visitors to relax both mind and body. The highly-concentrated water of the Kinsen spring moisturizes skin. There are two types of bathtubs in the bathhouse with warm water and hot water, so those who dislike hot bathwater need not worry. Body soap and 2-in-1 shampoo are provided free of charge, and there are various kinds of towels on sale, so visitors can stop by without needing to bring anything with them. 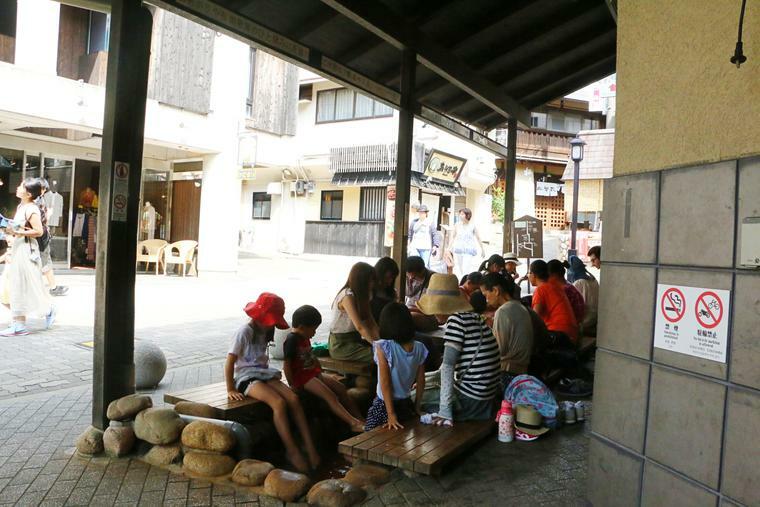 There is a free footbath right next to Kin no Yu. 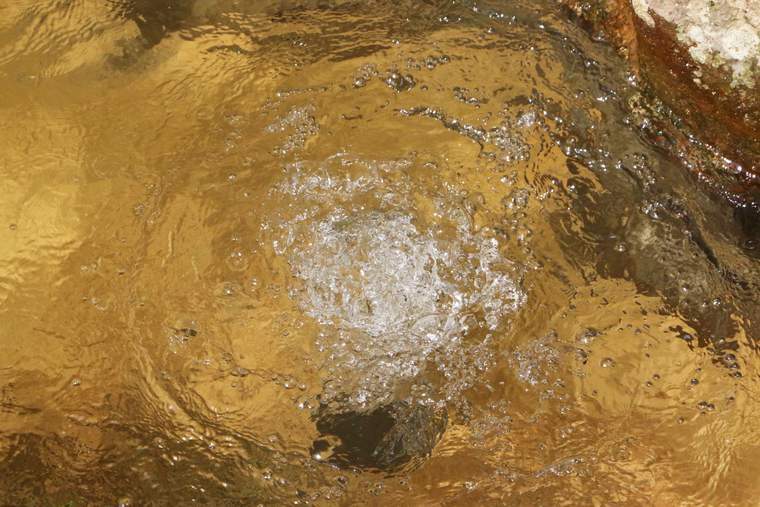 Bathers’ feet appear to have a golden color when immersed in the water. 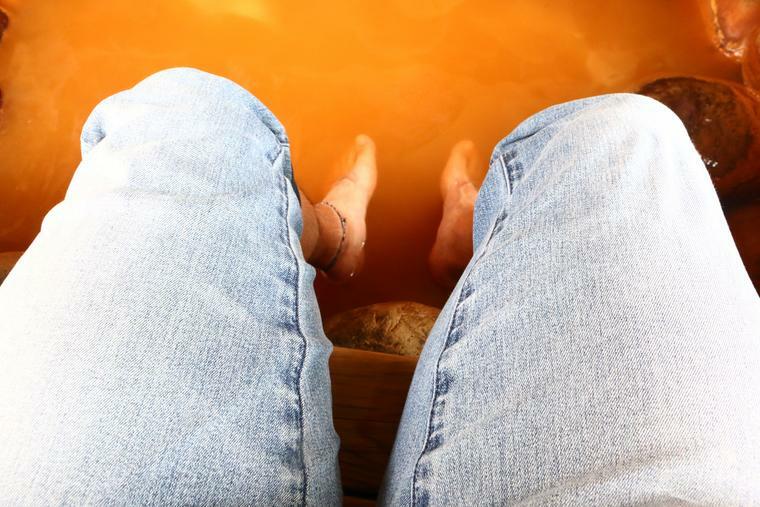 Kin no Yu has a high salt content and a rather high temperature, so the heating effects are powerful, leaving bathers’ feet feeling toasty warm after soaking them. It also receives a comfortable, refreshing breeze from outside. On the weekends, it is crowded with tourists. The water temperature varies based on the distance from where it comes out, so one can see the people exchanging spots to find their preferred temperature. Visitors should try moving around to find the temperature they enjoy. 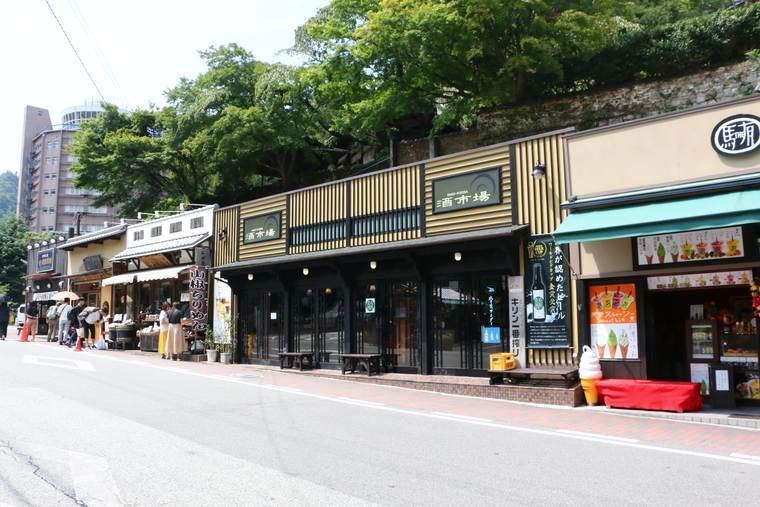 After going to Kin no Yu, we recommend visiting the atmospheric Yumotozaka shopping street. It is lined with traditional houses and souvenir shops. Takenaka Nikuten specializes in Japanese Kuroge Wagyu and Kobe beef, and it also has an ample takeout menu. 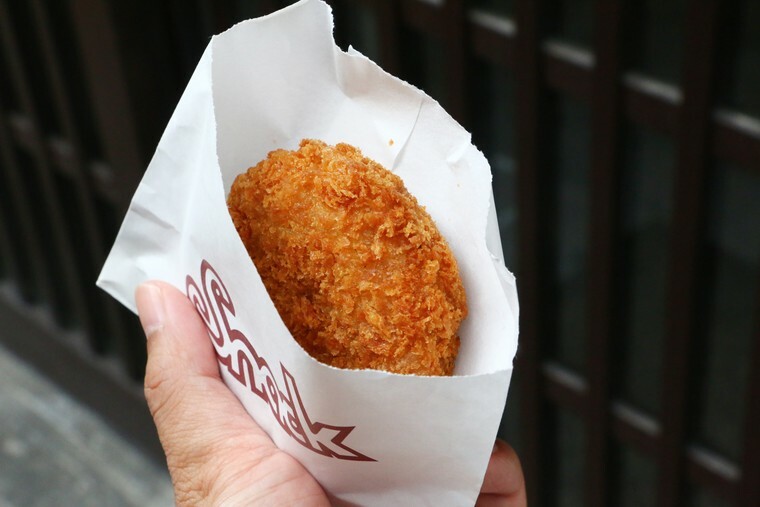 Especially popular is the Onikuya-san Croquette made with Kobe beef, offering great value at 130 JPY. They use plenty of potatoes to make them, with a crispy texture on the outside. 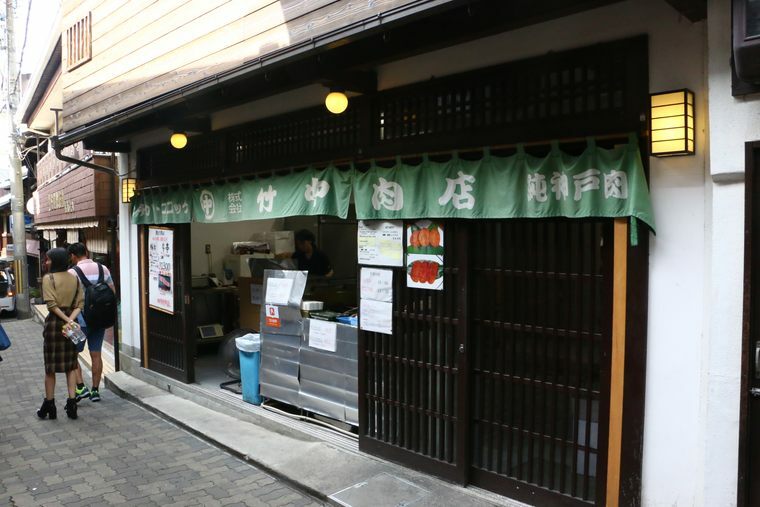 They also sell the Onikuya-san Mince Cutlet (250 JPY) made with minced Kobe beef from a secret recipe, and the Kobe Beef Skewer (1,300 JPY), which is limited to just 100 per day. While strolling around the hot spring district, the delicious aroma of frying food will stimulate the appetite in no time. 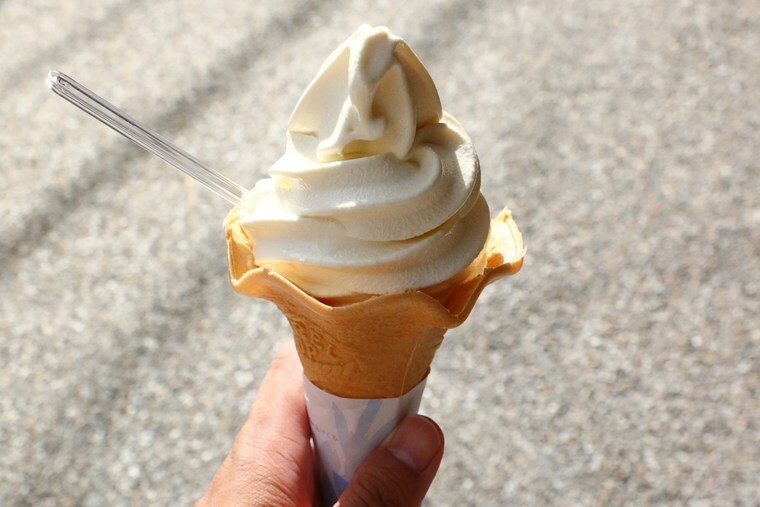 After sampling the hot spring baths, visitors should be sure not to miss out on the soy milk soft-serve ice cream at Arima Mamekiyo Yumotozaka, a former tofu shop. 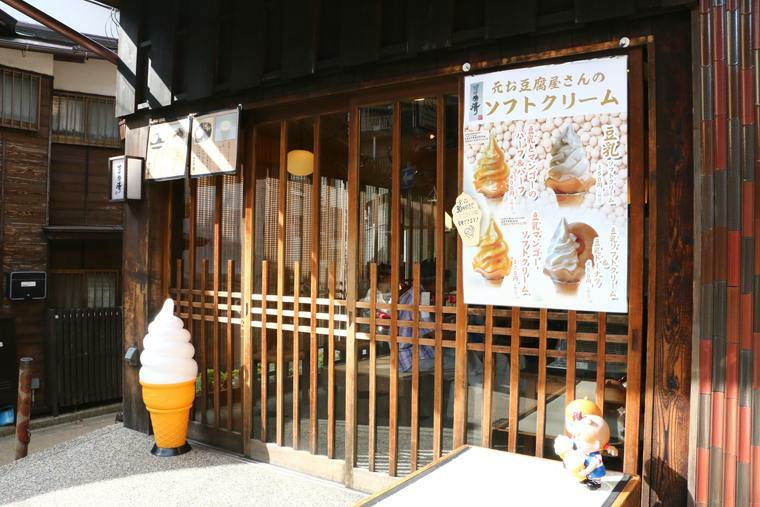 Their soft-serve ice cream (350JPY) has a robust soy milk flavor. It offers the richness of soy milk with a refreshing aftertaste. Mamekiyo has a sister shop a short distance away, Arima Mamekiyo Donuts. 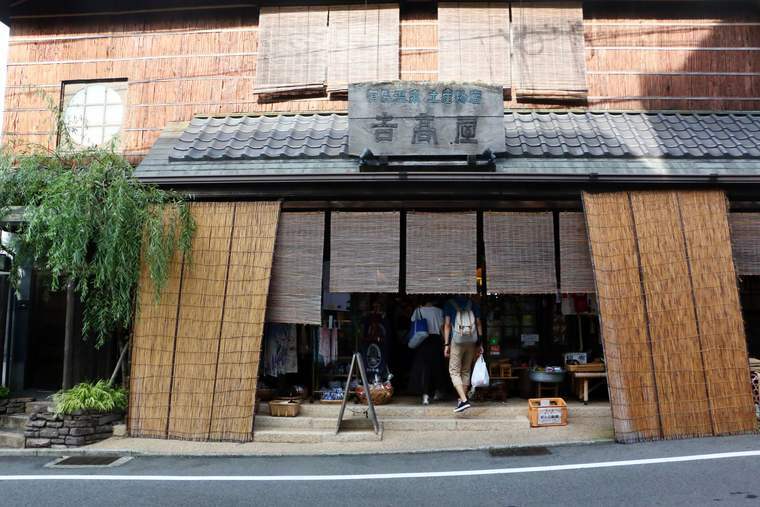 The shop is run by the father of the proprietor of the Yumotozaka shop. Their specialty is donuts made with soy milk and tofu lees. One advantage is that visitors can sit down and eat at their leisure. 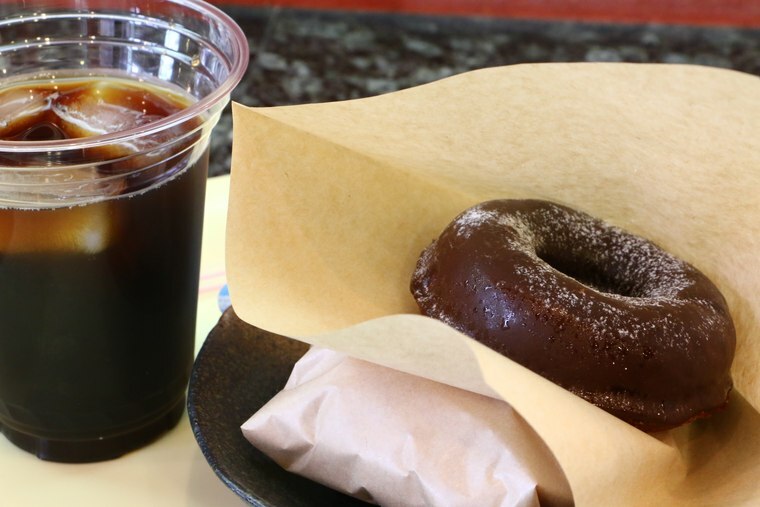 Order the Mameya Blend Coffee and a donut as a set to save 30 JPY. Their Chocolate Donuts are coated with chocolate and chilled. The crisp texture of the chocolate matches the mild flavor of the donut. 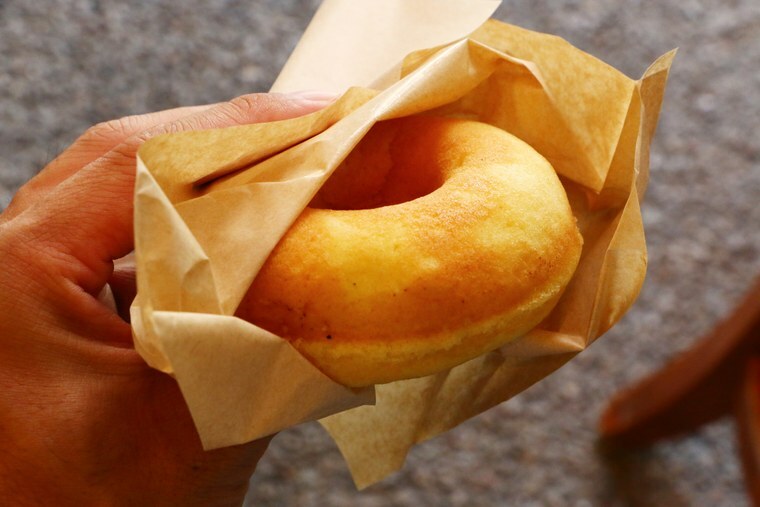 The Plain Donuts (170 JPY) are moist and dense. The donuts are baked by hand, so they are not oily. Since they are made with soy milk and tofu lees, despite being healthy, they are also satisfying. In addition to hot springs and gourmet food, Arima Onsen also has abundant natural beauty. 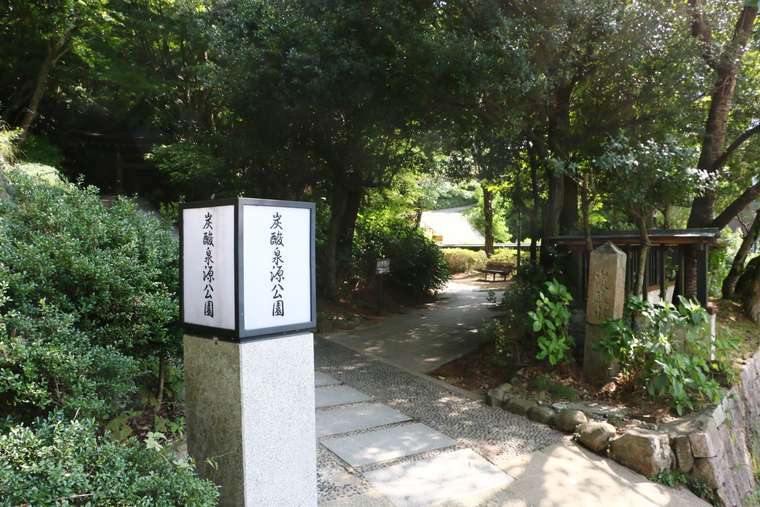 Before heading from Yumotozaka to Gin no Yu, the other public bathhouse, we recommend taking a stroll in the park. 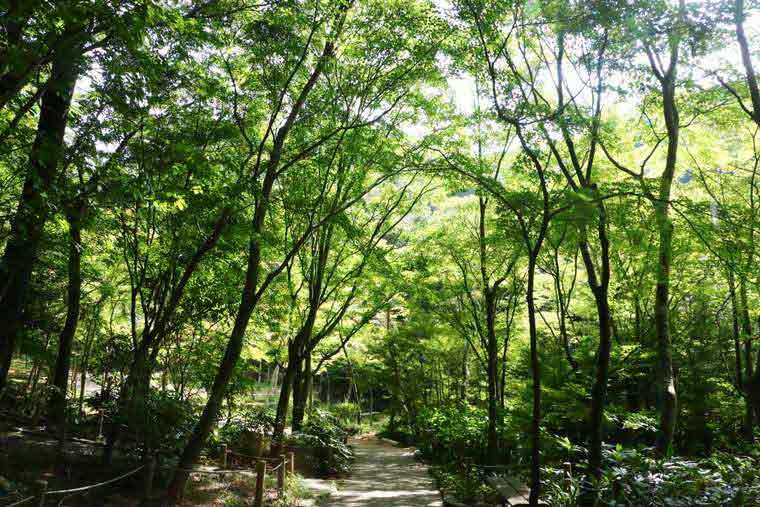 One of the parks in Arima Onsen, Tansansengen Park, is located a 5-minute walk from Kin no Yu. Inside the park, there is a building that looks like a shrine where tourists can watch the carbonated spring water bubble up from the stone well within. 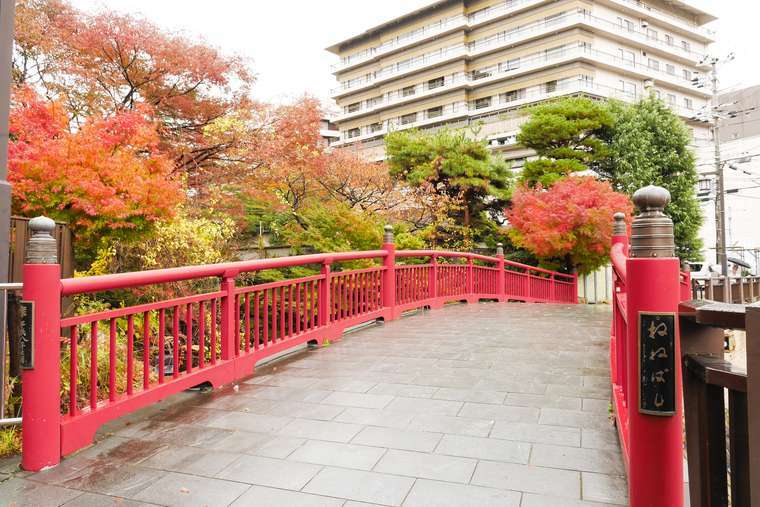 Zuihoji Park is located about a 10-minute walk from Tansansengen Park. In summer, it is a place where tourists can enjoy beautiful, lush greenery, and it bustles with visitors in the fall as a famous place for colorful foliage. 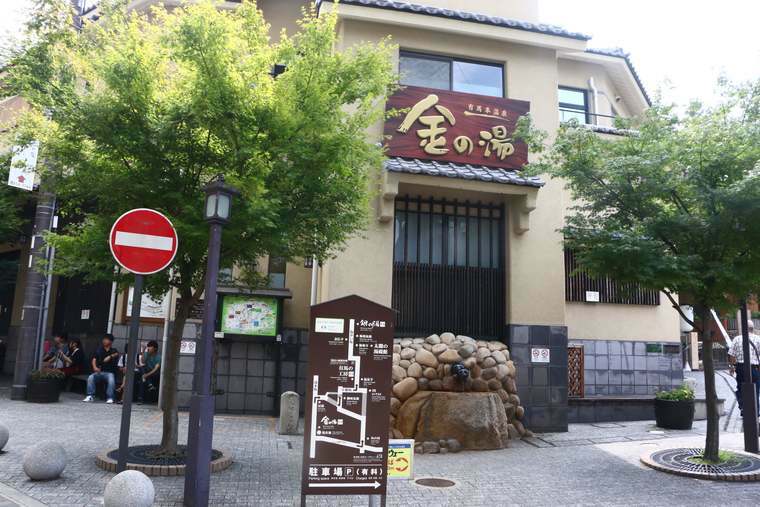 After a walk, we recommend bathing in the Ginsen spring at the Gin no Yu public bathhouse. The waters are clear, and visitors can enjoy a hot spring which features both a carbonated spring with a radium spring. Unlike Kin no Yu, the bathhouse also has a jacuzzi and sauna. 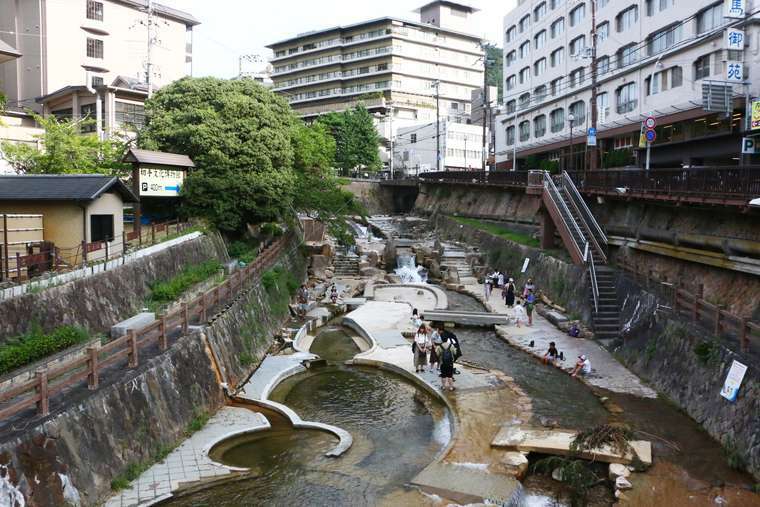 One of the appeals of Arima Onsen is the ability to bathe in two different types of hot spring. 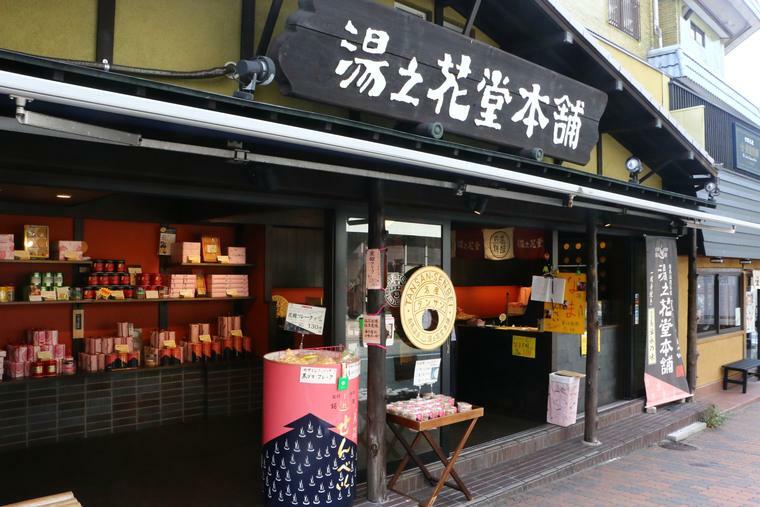 There are also many places to buy souvenirs around Arima Onsen. The stores mainly carry tansan senbei, a local specialty, and a wide variety of knickknacks. You can stop by on your way home to buy souvenirs, but checking out all the souvenirs while you walk is also fun. 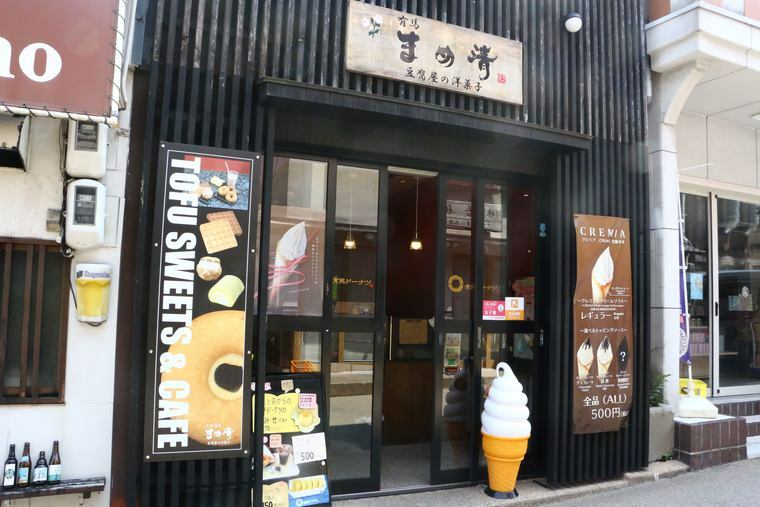 On Taiko-dori Street near the station, you will find Yunohanado Hompo Taiko-dori, a tansan senbei shop of long standing. Tansan senbei are a type of rice cracker made with naturally carbonated spring water. At this shop, the Rare Tansan Senbei (3 for 100 JPY, 1 for 50 JPY) “best consumed within 5 seconds” are a popular treat. The first bite is piping hot with a soft texture. The sweetness spreads gently throughout your mouth. With the second bite, the texture has changed in an instant, becoming a crispy rice cracker. 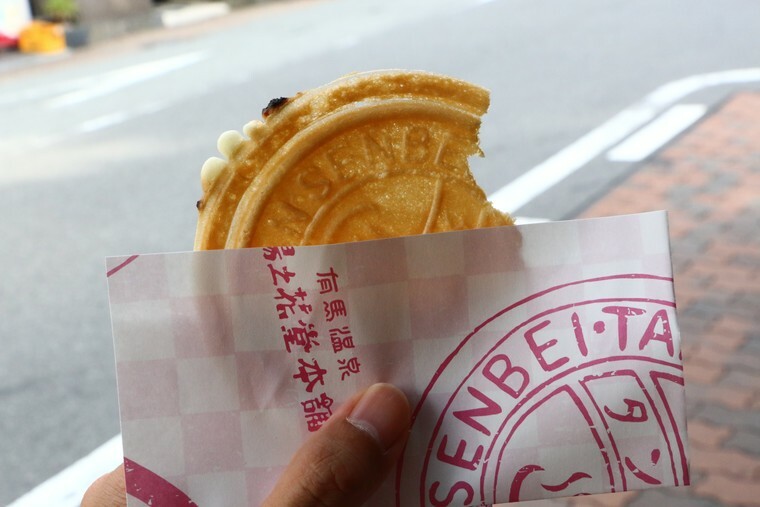 If you take a fancy to them, you should take some Tansan Senbei home as a souvenir. Just outside of Arima-Onsen Station is a souvenir shop named Yoshitakaya. 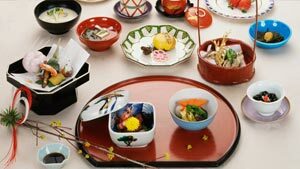 They have a vast selection including tsukudani, foods simmered in a sweet and salty blend of sugar and soy sauce, Onsen manju buns, wrapping cloths, chopsticks, and more. It is recommended for its convenient location just outside the station. Enjoy hot springs, gourmet dining, nature, and souvenirs with the whole family! 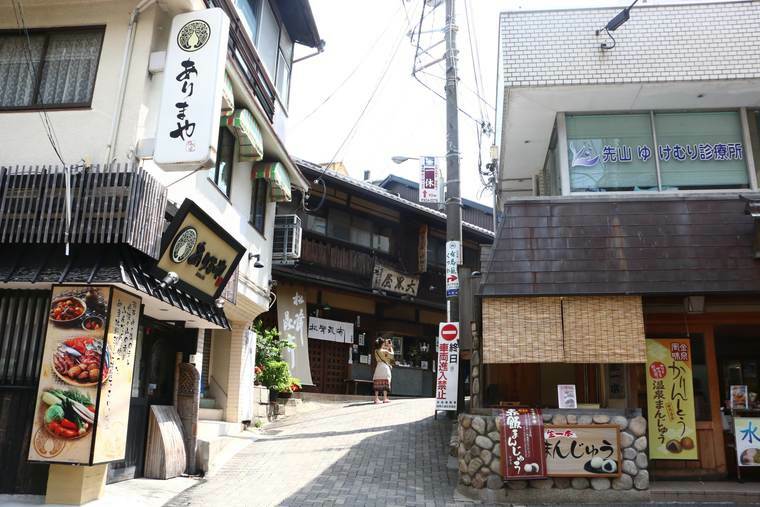 Arima Onsen is a recommended Kansai sightseeing spot not far from Osaka or central Kobe. In addition to the hot springs, there are many ways to have fun, such as sampling gourmet good on the go, or taking a stroll in verdant parks. There are a few slopes, but the neighborhood is compact, so getting around is easy. 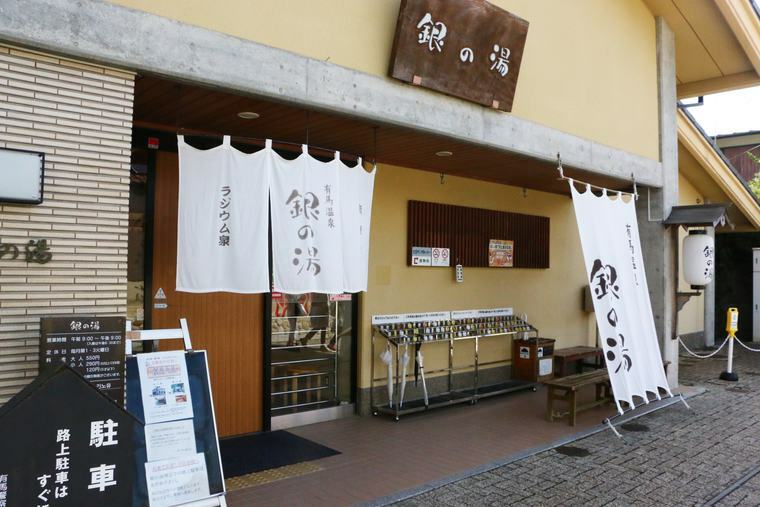 Why not use a weekend or long holiday to visit Arima Onsen? *The details listed are current at the time of publication. The details may vary when you use the facilities, so please check the official website before using them. *All listed prices include sales tax.